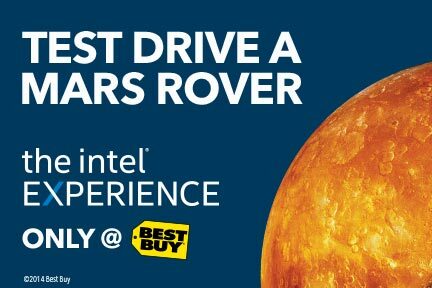 Intel and Best Buy are now teaming up to bring new Intel Technology Experience Zones to 50 Best Buy stores and I was fortunate enough to experience this at the West Los Angeles store recently. The Intel display offers you hands-on experience zones that gives everyone the opportunity to explore and play with the latest cutting-edge technologies. It doesn’t matter if you are a newbie just learning how to navigate some of the new technology out there or a tech geek, there is something for everyone. It is a great way to see, touch and engage with the latest products. Most Americans are excited about learning and trying out new technologies but are frustrated by the lack of access to them beyond what they read or see in the media. 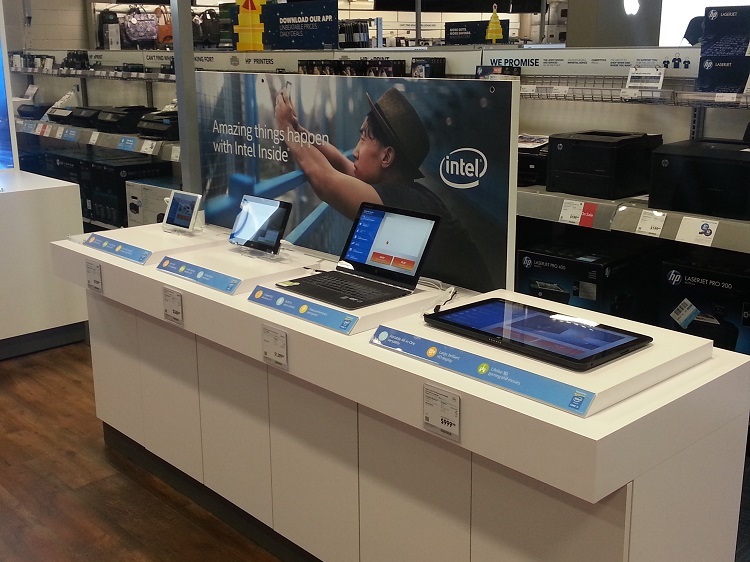 This “mini store” averages about 240 square feet and is primed for showing customers the power of Intel. The area is staffed by specially trained Best Buy Blue Shirts to answer questions and help customers make the most of each area within the experience. Be sure and stop by the Mars Escape and show off your racing skills on Mars in an augmented reality world. 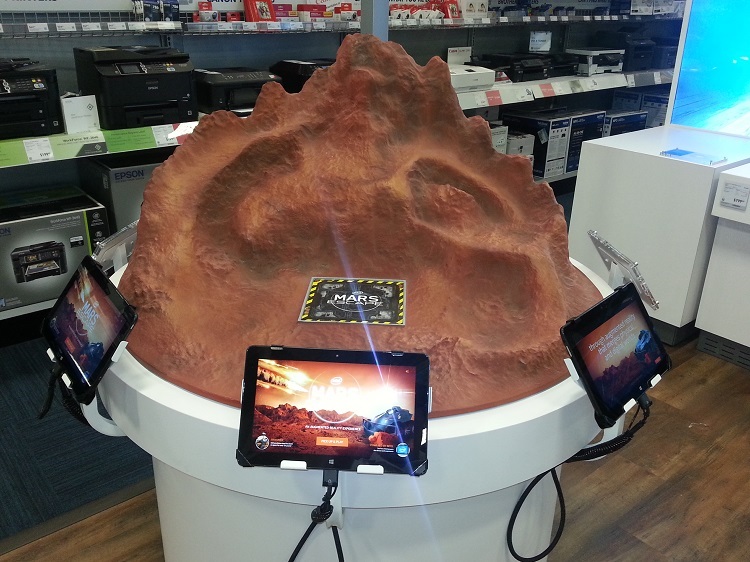 You will use a powerful Intel-powered pad where you can design a Mars Rover and navigate your virtual space rover through the rugged Mars landscape. Make sure you bring a friend! Using a touch-enabled, Inter-powered laptop, you will be able to design your own 3-D model of a robot and experience 3-D printing. Pretty cool stuff! If you are a budding musical artist than this zone is for you! With this Intel-powered 2 in 1 device, you will become a digital DJ and remix singer-song writer Ne-Yo’s tracks and create a full-stage experience right down to controlling the stage lights. There is also a zone where you can experience the latest laptops, 2 in 1 devices and tablets powered by Intel processors. 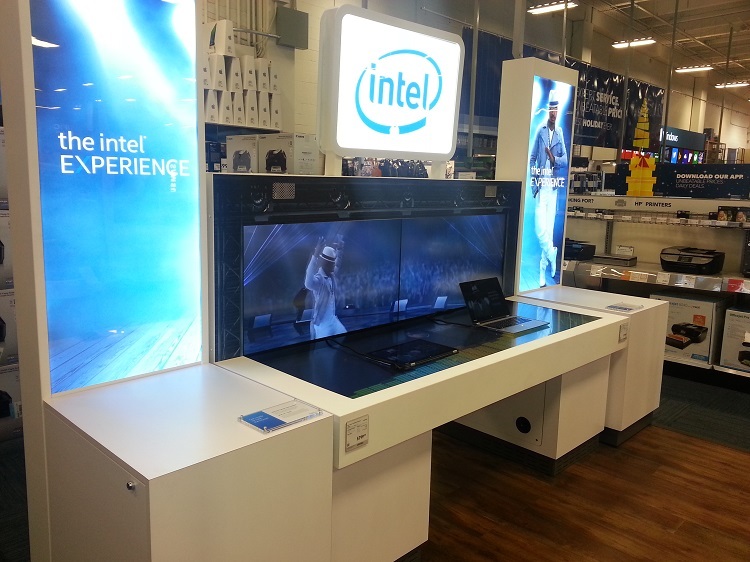 The Intel Technology Experience Zones at Best Buy will never become outdated. Each season, Intel will refresh the venues with a new array of technology experiences. Now that is something to really look forward to! 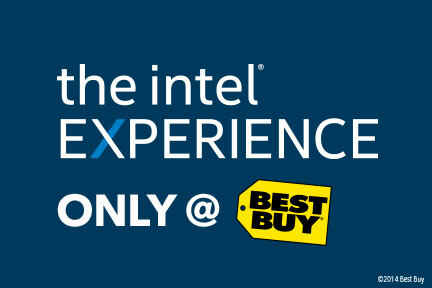 For more information about The Intel Experience, including a list of stores, visit www.bestbuy.com/theintelexperience. This looks like such a cool event. I love the creating your own robot and 3-D printing experience. That Mars escape looks really cool. I like Best Buy.. that’s where I’ve bought my last 2 computers. I buy most of my major electronics at Best Buy. All of my laptops have come from there. That’s pretty cool. We love Best Buy here. All of our electronics come from there. That is SO cool! I’m a total Intel snob. I won’t buy a computer with any other type of processor. I love you, Intel! I could spend hours in Best Buy. There is so much I want/need when it comes to technology. I love Best Buy! I haven’t been in one in a long time though! I think I need to venture on in! We are getting ready to do a lot of shopping at Best Buy. Not for computers though, we need new appliances first. We bought my laptop and my mothers computer there – they have great deals. what a cool event! I didn’t know they had something like that. Best buy always has some cool stuff but I guess I haven’t been in one in awhile. I like all the different zones to explore. Can’t choose just one. Best Buy has come a long way over the past few years. I like their design and what you can experience there before you buy. Best Buy is great for shopping. Like you noted too, they are great for getting questions answered. I love the Blue Shirts, they’re always helpful without making me feel any sales pressure. My hubby works at best buy on the weekends he sells products for Hp. Hp computers are great. I haven’t seen one of these centers this must be something new they are doing I think it’s great way to get to try before you buy. I checked out the Intel display at Best Buy and loved it. Definitely a different experience than I’ve ever had before at Best Buy. I haven’t been to a best buy in a long time. I don’t even know if there is one anywhere near me. At least there isn’t anywhere that I’ve seen. I’ll have to check this out the next time I go to Best Buy. It’s cool that they will stay up to date on the tech products and that you can try before buying! I love Best Buy, they have so many exciting products and I love browsing their stores. I like the Mars escape. My Grandson would love to design a Mars Rover and show off his racing skills with a virtual space rover. He would have a blast! I usually never go into a computer store alone. I would not know where to start. My hubby on the other hand? He could easy set a tent in there and never come out lol Would love it our Best Buy had the Mars Escape! This event looks like fun. I would love to make my own robot, lol oh yea, I’m sure my son and nieces would love it too! I haven’t been in to my local Best Buy in quite some time. I’ll have to check out what they have available the next time I’m in. I’m liking that 3D printing though. I am going to be doing a lot of shopping there this holiday season. I love that they make it interactive and I love the 3D printing what a great idea and amazing technology. I would love to design one, haha! Seems like a really cool event! 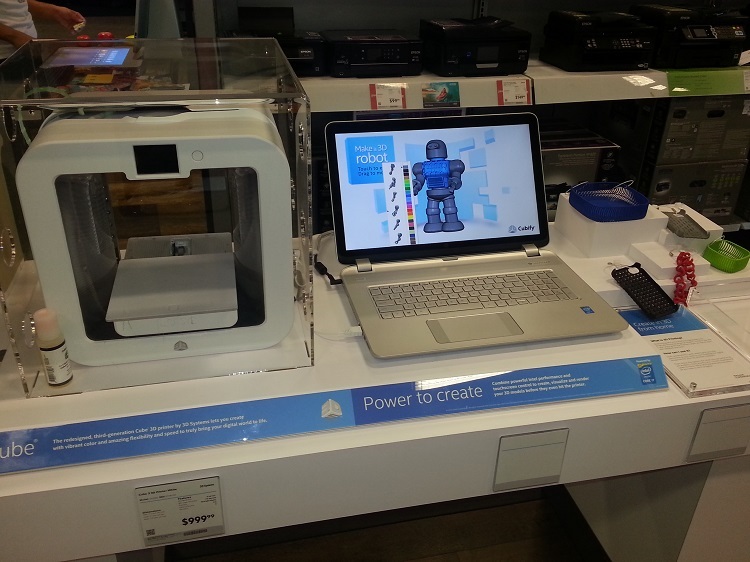 Best Buy’s Intel Technology Experience Zones are fascinating for technological newbies like me! I can’t wait to experience the Mars Escape and try my hand at 3D printing! 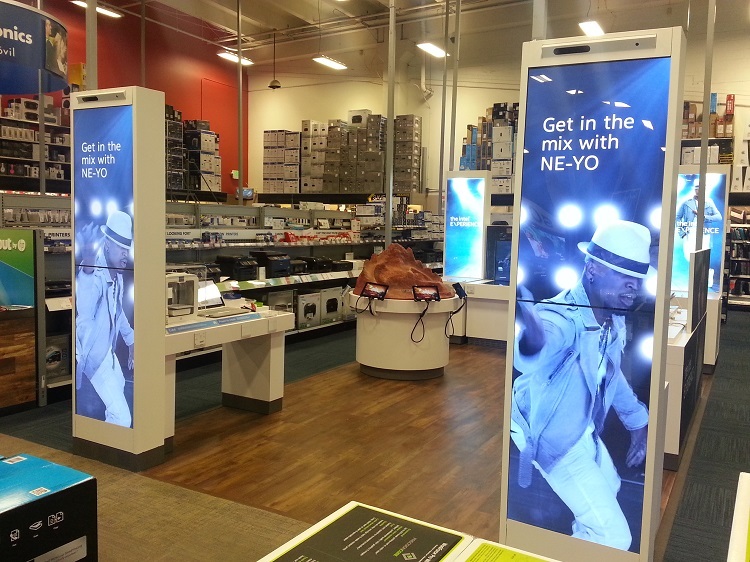 It looks like Best Buy is trying to utilize its partnerships to become more interactive. That’s really neat. I’ve wanted to see a 3-D printer for a while. My brother uses one at the technical school he goes too, and they have come up with such awesome ideas. He just got a patent approved with some of his friends on a tornado shelter that can go inside a school classroom, and it can be locked in case of a school shooting as well It is bullet proof and can withstand boards flying into it at 240 mph. Its cool to see technology doing such great things for the world. Wow, this looks very entertaining! Best buy alays has the neatest stuff! 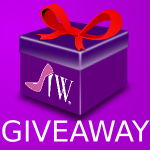 Being a hands on learner makes this a perfect place to shop for new items! This event looks really fun. It reminds me that I haven’t been in Best Buy for way too long. It looks like a real ball! Wish I was close enough to see it in person, but thanks for telling about it! I haven’t visited a Best Buy in quiet a while. I’m going to check which is the closest to me that offers the Intel Technology Experience Zones. I would really love to stop in and try out the 3D printing. Really neat and I like it. I like hands on!